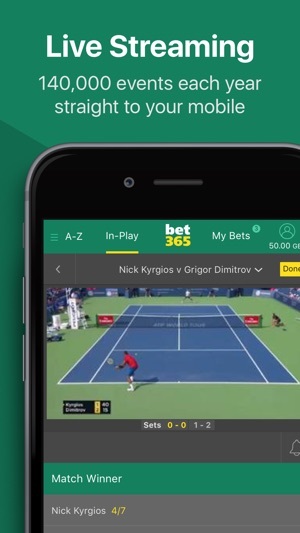 bet365, the world’s favourite online sports betting company, brings you a fantastic betting app offering an extensive range of pre-match and In-Play markets, together with top sporting action streamed live to your iPhone and iPad. Tell us what you think, rate our app today! Thanks for using bet365. To make our app better for you, we make regular updates to improve performance and fix issues based on your feedback. App - Easy to use in general terms. Lots of in play bet selections, very lucrative. Almost all games are covered lower and upper leagues. App improvements - Needs work on many aspects. 1. Watching the live video on games is laggy, low quality and doesn't allow enough flexibility on scale. 2. It is so difficult to watch numerous games as they are all on different pages, maybe a new tab made specifically for games that you can press a "star button just like highlighting a selection" this will then add it to a tab where you can watch the game as normal except one small difference would be that you don't have the option to place bets here but by clicking the place Bet button on the tab it will direct you to the normal section. 3. Creating a search bar at the top to find games would be amazing and easy to implement, going through each league is a drag and wastes so much of my time. 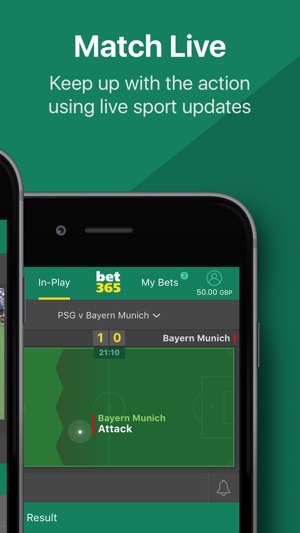 I want to find my bets in under 30 seconds and place it in that time as well, this is purely due to the fact that your in play bets are subject to a time delay. 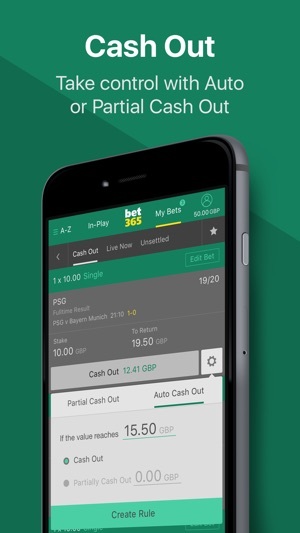 4.cash out should be available throughout the whole match, and bet credits should be included in the return, your not giving away anything if you have to win in the first place. This is the only betting app I use. 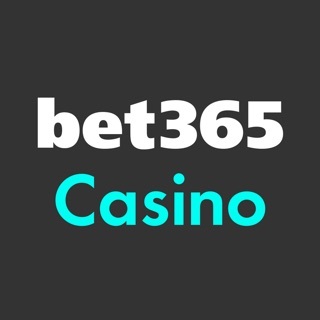 Bet365 offer in play markets like no other, I frequently get offers for free bets and generally feel like a valued customer. And the app is great. However there is one aspect of the app that simply must change. I had 2 selections in my betting slip and had input a £20 stake on a double to see what the return was. I didn’t place the bet but instead added a third selection to make the betting slip a treble. I then placed a £20 treble bet, but was mortified to see an £80 stake had been placed! On adding the third selection, the app had left the £20 stake I originally put in the double section and changed this to ‘3 x doubles’ without removing it! Taking an additional £60 out of my balance! 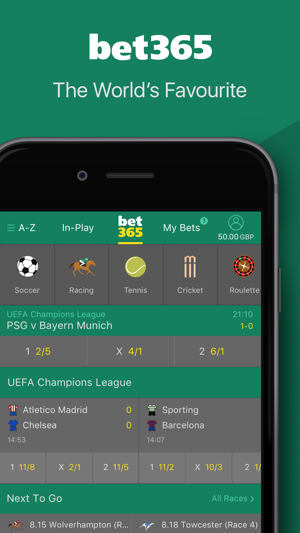 The app needs to be changed so that when an additional selection is added to the slip, all previous stakes input to see the return are removed. And if the user wants to add in a 3 x doubles stake then they can. Not automatically assume that that’s what I want to do simply because I added an additional selection to the bet slip. I’ve fallen foul to this a few times now and it absolutely infuriates me. This simple change would make the betting experience so much better. If that change was to be implemented it would be a 5 star review from me! “The worlds biggest sports betting site” with very false advertising. The cash out option is a ripoff. I’ve never won a BIG accumulator but the one time I was on track to win a huge amount of money with over 10 football games covered they refused to let me cash out. About half my results had come in and I had the other half playing at the same time. 10 minutes before the games finished all the teams I had to win were winning. Cash out option being over £5,000 I tried to cash out for over 2 minutes. 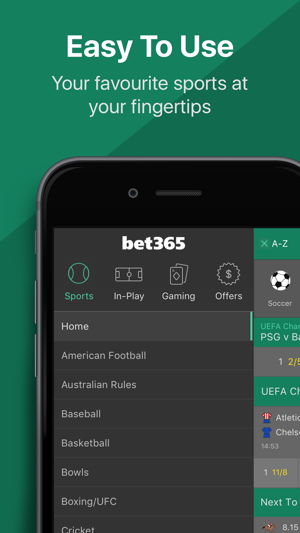 Bet365 kept suspending the cash out even though none of the scores were changing. Eventually 2 goals went in and ruined my winnings. I tried contacting them and they basically admitted they can cancel cash out whenever they like. Aka FALSE ADVERTISING. Lying & fooling users to think they can use the cash out system so they don’t have to wait till full time. Load of rubbish! I spoke to a lot of people on Twitter who have experienced the same thing. I’ve never used the site since.